Yesterday I finally released my new meditation guide, via email, to the early-bird crowd. Feedback has been awesome again. Thank you everyone — I’m so glad you’re enjoying it. 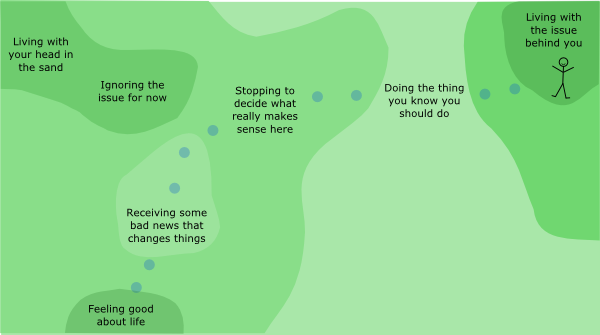 So today, Making Things Clear: A Brief Guide For People Who Think Meditation is Hard is available to everybody else. Some of you have been waiting for this guide and already know what it’s about. If so, you can get it here. For those who don’t know, Making Things Clear is a non-denominational, no-experience-necessary guide to meditation. It spells everything out in simple terms, with no spiritual pretensions. It’s meant for those who are new to meditation, or who aren’t but still resist doing it on a regular basis. I’ve been singing the praises of meditation since I started this blog, and I know some of you do it regularly. I believe it’s one of the most versatile, universally beneficial activities human beings have discovered so far. Even our science community has gotten over its skepticism about meditation’s benefits. A lot of the upsides of meditation are still totally unsung though. Last month I shared a post in which I stressed one of the biggest ones for me: the freedom expanding effect of regular meditation. Fewer parts of life seem off-limits, because you’re learning how to experience what happens openly, without recoiling from it. You get better at being at ease in less-than-appealing situations, freeing you to take the best course of action without freaking out so easily. Yet with all the praise and respect our culture has expressed for this practice, for the most part it’s waiting in the barn unused. People frequently dismiss meditation as “not for me”, even people who have actually done some experimenting with it. This reluctance is really common, and I think it’s mostly due to how meditation is typically presented: foreign, religious, abstract and difficult. I wrote this guide to address that problem. Most meditation books embrace one tradition or another, along with the customary dry language, lotus imagery and long-windedness. My aim was to explain clearly what meditation is and how to do it, but most importantly, dispel the falsehood that it is intrinsically difficult. It’s not. This myth is based on the simple misunderstanding that to meditate is to stay focused on the breath, and that if you have trouble doing that, you are having trouble meditating. This makes people think trying to meditate is like trying to balance a coin on a needle — it’s close to impossible, and they don’t have a lot of fun trying. This is a tragic misunderstanding of the practice. No wonder people aren’t interested. Meditation should be approached with a relaxed, easygoing attitude. Losing track of the breath isn’t any kind of problem, or failure, or interruption. It’s totally okay and totally expected, and contributes to the benefit of the practice as much as any other part of it. And there’s much more to be experienced in meditation than just the breath. Anyway, all of this is in the guide, along with everything else you need to know to get from “What the hell is meditation?” to establishing a fruitful, regular practice. 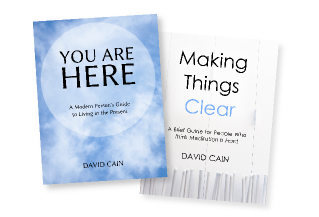 Making Things Clear is shorter and more direct in its approach than its predecessor, You Are Here: A Modern Person’s Guide to Living in the Present Moment. 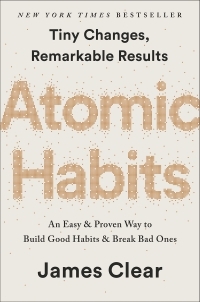 The focus of You Are Here is on developing small, mindful habits throughout your day, to make life calmer, simpler and more fun. Meditation and mindful living complement each other very well — each makes the other easier, and amplifies its benefits. Making Things Clear is going for $15 until the end of the week. You Are Here is normally $27, but if you want to pick up both at the same time it’s only $35 all together. Thanks so much for your support, and I hope you enjoy the guides. People saying meditation is “intrinsically difficult” really mean that it’s intrinsically different to the way of life that’s constantly preached/lived throughout the world. Overcoming this social inertia in something small and personal (like meditation) can really help someone break out into other areas they never even thought of. For me, the hardest part is sticking with it (just like eating healthy, being fit, being mindful, etc.). I’m thinking about using Beeminder to “force” myself into meditation. I find it a bit funny that the thought of losing $5 can make me do something good to myself. The system really has helped me keep up with my eBay business (another one of those “I want to improve this but I’m really shortsighted after that initial energy burst” situations). Anywho, keep on preaching this stuff because the more I get hit upside the head with it, the more likely I’ll do it! Yes, definitely. I address this in the book. It’s more unfamiliar than anything, but it isn’t itself difficult once you understand that your success in staying with the breath is not the same as your success in meditating. Thanks Cait! I really appreciate it. Enjoy New York, and don’t forget to have a Levain Bakery chocolate cookie for me, and maybe instagram it for me. That photo is the wall of the Buhler Center here in downtown Winnipeg. 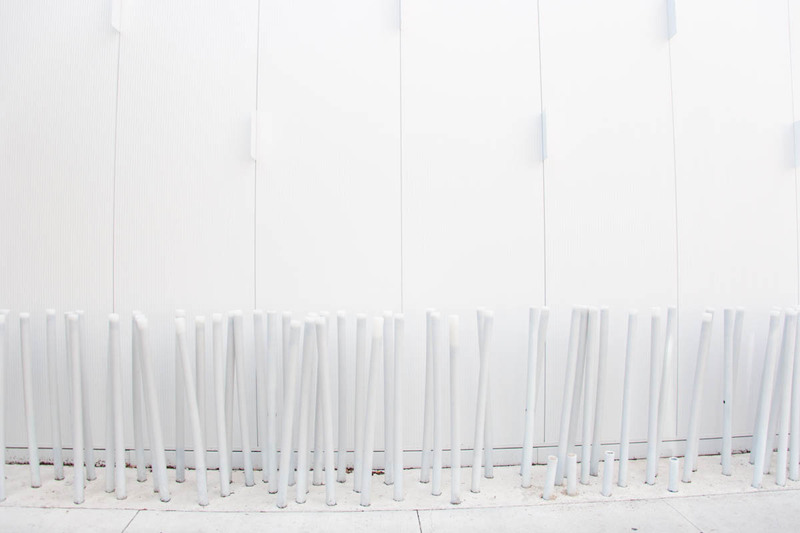 The sticks are a design feature, a kind of stylistic take on bollards. They’re flexible plastic of some kind. just close your eyes, take a breath…in and out. just one. and focus on the breath….you will then be practicing meditation. easy. find the youtube of Deepak’s 1-minute meditation. so good and so simple. It’s great that you are trying to bring meditation to more people on this planet. It is truly a blessing that we live in the kind of world that people are more open to such ethereal experiences that are based in the Eastern philosophies. thanks for share! Meditation is amazing. I am a fan of your writing and of meditation (despite my reluctances). I am curious to hear what your thoughts are on this from the new scientist..
I’d like to read this article but you have to be a subscriber… do you have another source for it? Here is one source I found by dropping the title of the New Scientist article into Google. I do not know it if it is the full article, but it seems plausible that is could be. – They cite a figure of 7% on meditation retreats having these negative experiences. How many in the sample group already have depression, etc. or have a history of chronic or recurrent depression, etc.? Perhaps that is a factor. From my own anecdotal experience, I theorize that when dogma in any form (religious, spiritual, cultic, all of the above) is layered atop the meditation experience, as I’ve seen some retreats do, that it clouds the experience and is no longer simply meditation. 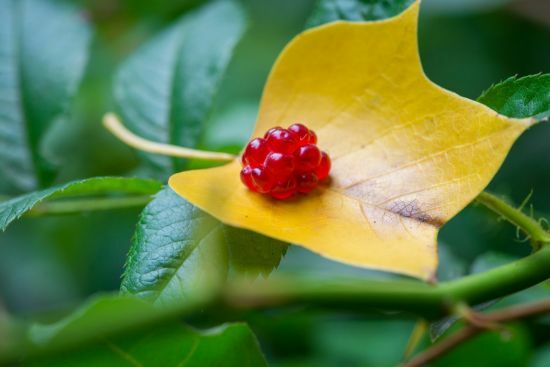 The result is that you can be left feeling a host of negative emotional states as a result of the practitioner’s intent to weaken a person so that they are more apt to believe the dogma du jour and not leave the cult. I have personally experienced this with Catholicism and the Art of Living, and ran for the hills from both once noticing the signs of unhealthy emotional states, and seeing the classic signs of indoctrination and control via altered mental states, dogma, and so forth. I have heard the same is true with TM (a practice noted in passing in the article). I’m now well-galvanized against organized groups and quite happy that you’ve published a guide that frees mediation of the baggage that religion/spirituality/cults often adulterate it with. I’m looking forward to reading / listening to the rest of your advice in these books and I know from reading this blog regularly that’s it a well worthwhile investment. I’ve wanted to try meditation again for some time and this is the perfect opportunity. Thanks for all that you do for humanity. It isn’t a new idea that certain people should be careful with meditation — the fear is that people with histories of trauma or mental illness may be holding themselves in a stable state by repressing certain thoughts, through distraction, addiction, or other coping behaviors. If this person begins to meditate, they may experience traumatic thoughts without engaging their normal repressive mechanisms, and could flip out. I guess it’s important to keep that in mind, but it’s hard to know why someone is having an averse reaction. But this particular article I think is trying too hard. Their criticisms of meditation are really criticisms of misinterpretations of meditation — that it is a pill, a panacea. And as you say, religious dogma complicates things too, so how do we know what is causing the adverse reaction. They make the point, as many have, of associating Zen with kamikaze pilots in WW2. Clearly the empire was using Zen as a way of harnessing nationalist dogma. I don’t think these men decided to fly their planes into American ships as a result of meditating too much. I think it’s worth acknowledging that there are adverse reactions in meditation retreats, but we don’t really know why. The authors really seem to be grasping here. David – – is there a way to get a preview of both books? Thanks. Hi uncephalized. Gumroad is the company I use to sell the books. They are only asking you if you want them to keep your information on file so that you do not have to enter it again for future purchases. It is a one-time purchase — you are not pre-authorizing multiple purchases. OK, I bought the guides. 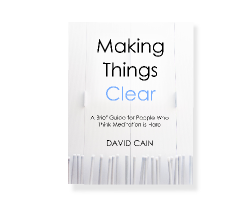 I read Making Things Clear first, since I wanted to jump right into meditation. I am now on day 4 of my new practice. I decided on a whim to count up through prime numbers to time my sessions. So I’ve sat for 7, 11, 13 and 17 minutes so far. It’s been interesting, and promising, and I certainly intend to continue. Today I will sit for 23 minutes before lunch. I’m already seeing what you mean about longer sessions not being harder than shorter ones. And I’m finding that settling into a comfortable posture that can be maintained without effort is very key. 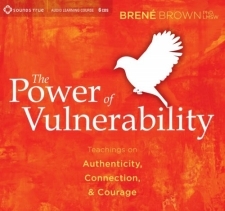 The guide is excellent, as I expected from the quality of your writing and insight here–and I SO appreciate your decision to focus on one simple technique rather than going for exhaustive breadth. That’s awesome, glad to hear you’re really diving into it. I definitely recommend dropping into a local meditation group at least once. Meditation is such a solitary activity that it can be extremely helpful to be around other people during their practice. Just seeing how other people approach it can give yow new ways to look at your practice.